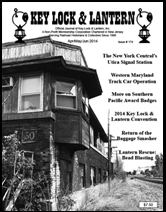 Holiday Train Shows & Events, Western New York's Medina Railroad Museum, Gaithersburg Show Still Delivers, Book Review: Lanterns of the Western Maryland, Want Ads & Railroadiana Event Calendar. 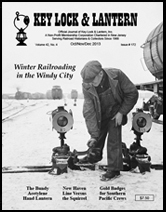 Union Pacific Railroad Museum Sponsors Steam Locomotive Excursions, Upcoming Railroadiana Auctions & Shows, Falls Road Railroad Operates Rare Mixed Train, Want Ads & Railroadiana Event Calendar. 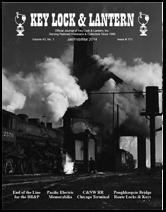 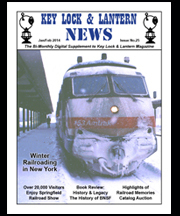 New Haven Hosts National Association of Timetable Collectors Convention, Journey Back in Time on Tourist Railroads, Passenger Train Historical Society Plans Events, Want Ads & Railroadiana Event Calendar. 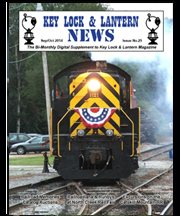 Key Lock & Lantern Convention A Success, James Parella Collection & Brookline Auctions Bring High Prices, Upcoming Railroadiana Auction & Show Schedules, Want Ads & Railroadiana Event Calendar. 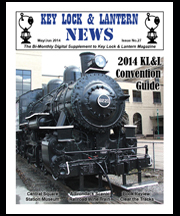 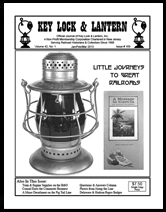 Key Lock & Lantern Convention Announcement, James Parella Collection to be Auctioned, Want Ads & Railroadiana Event Calendar.